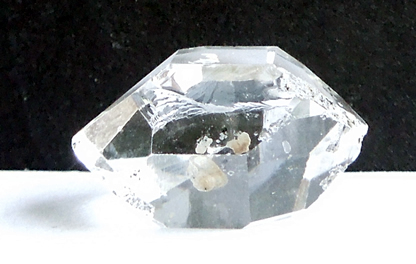 This is a quality C grade Herkimer Diamond for sale. It is internally clean, so clarity is excellent. Technically double terminated, there is minimal blemishing externally. "They were known to themselves and to the other Iroquois nations as the Kanyenkehaka, the people of Kanyenke (also spelled Ganienkeh). This has usually been translated "Place of the Flint," but the flint (or more properly chert) sources in Mohawk country were not particularly sought after. 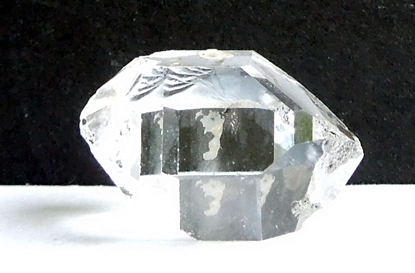 More important were the clear quartz crystals now called Herkimer diamonds, which could be quarried in a few local mines and abound on Mohawk village sites. These were highly valued by Iroquois and other nations. 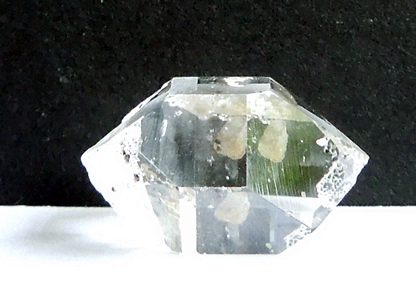 Kanyenke was more likely "Place of the Crystals." 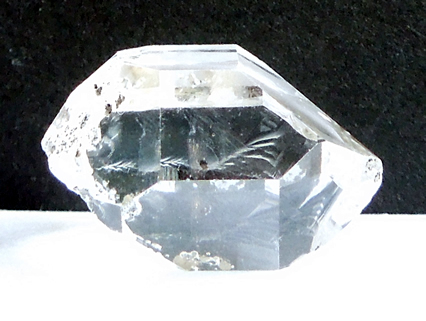 Crystals were symbolically important as amulets of success, health, and long life, artifacts more likely to inspire a name than a second-rate chert. 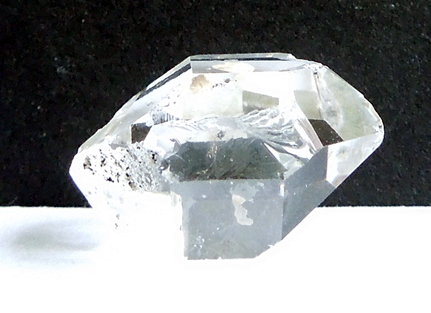 The Mohawks were the main suppliers of quartz crystals up to 1614. After that they became primary middlemen for the Dutch glass beads that replaced them." 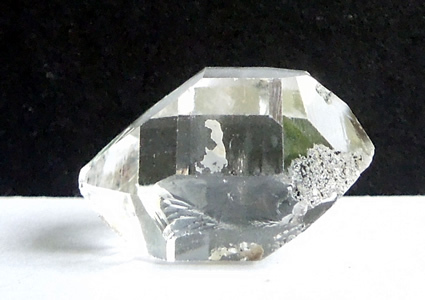 The images don't do justice to this quality C grade Herkimer Diamond for sale.